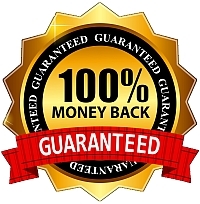 $99 Single Robot Purchase Guarantee: I offer a money-back performance guarantee for each robot when purchased separately. See the bottom of this page for the multi-robot guarantee. 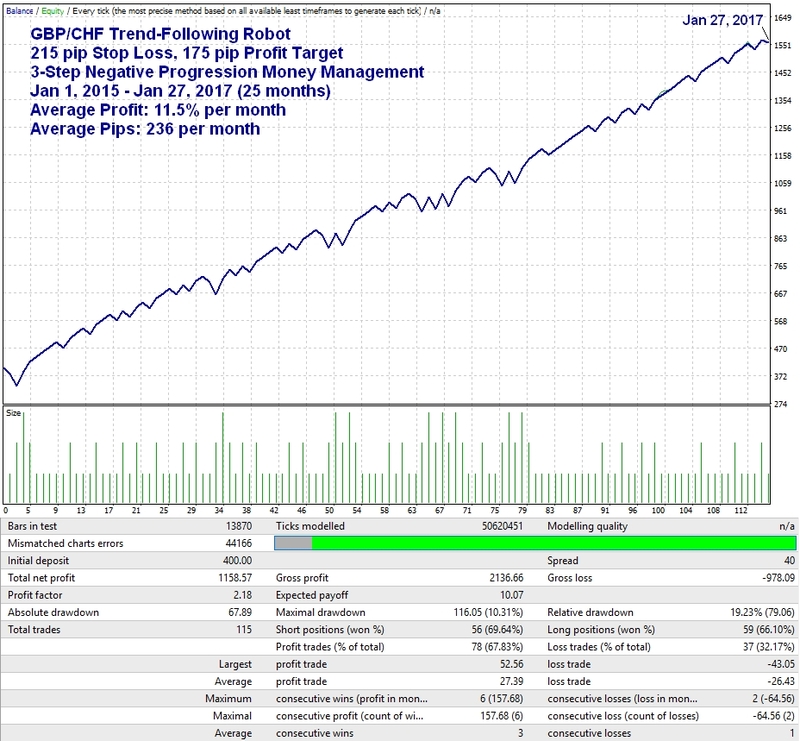 If you purchase this GBP/CHF 1-Hour robot as a $99 single-robot purchase, I will refund 100% of your purchase price if this robot does not make at least 200 pips net profit within 60 days of your purchase. You do not need to be trading this robot on your account to qualify. Just contact me with your receipt and a quick look at the robot's 60-day performance on my own charts will confirm if you qualify or not. 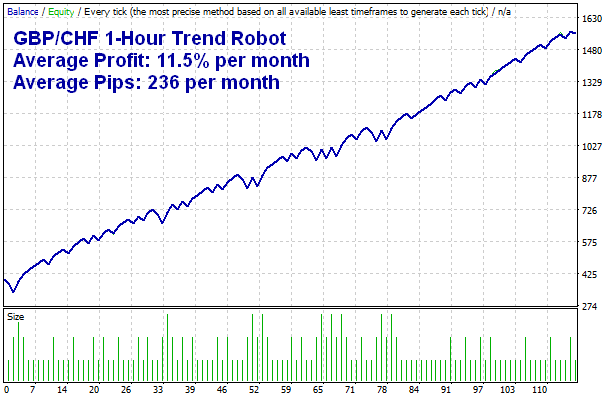 This is a GBP/CHF Trend-Following Trading Robot that runs on the 1-Hour candlestick chart. This robot enters trades on pullbacks in the direction of the current trend but will avoid entering trades when the market is significantly over-bought or over-sold. With this robot, I decided that it would be best to use a negative progression money management strategy to help smooth the equity curve of your portfolio. 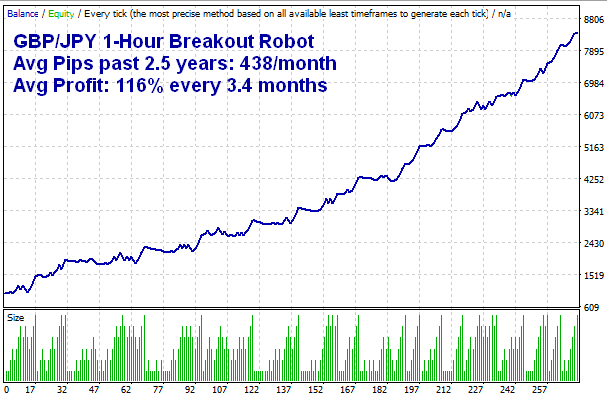 The positive progression robots (using normal Roulette Trader money management) will provide plenty of power while this robot will provide consistency. It uses a 3-unit negative progression strategy (the cumulative wins strategy in reverse with a 3 unit maximum, which acts as a cycle stop-loss to protect you from excessive losses in a losing streak). If you have 3 cumulative losses, it defaults back to 1 unit to cut losses and start a new cycle. The result is a very steady equity curve without risking your shirt and the average return over the past 2 years is 11.5% per month at my maximum recommended leverage. Compound monthly to maximize your profit potential. The equity curve below shows the performance since January 2015 (the past 2 years) but I have also included 8 years of performance further below. 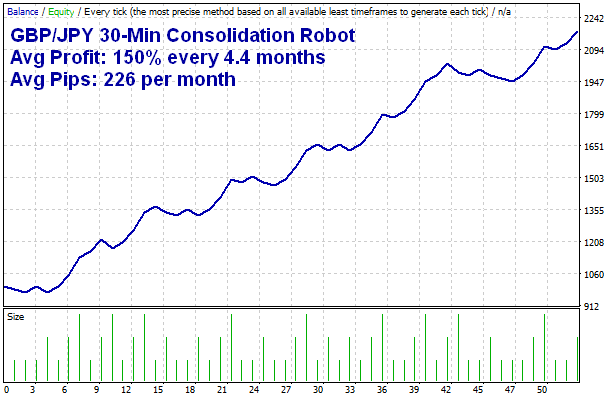 This robot is programmed to trade between 15:30 and 12:30 New York/Eastern Standard Time (a 22 hour trading window). If the time zone of your MT4 charts is NOT on EST, you will need to adjust the StartHour and EndHour settings to correlate with New York time. For example, if your chart's time zone is on GMT/Jerusalem time, your settings would be Starthour: 22, Endhour: 19. Trading hours are in military time (0-23 hours). To find your chart's time zone, compare the time of a current candle on your chart to a city at: www.timeanddate.com/worldclock. Users residing in the southern hemisphere should be aware of seasonal time zone fluctuations. Contact Me if you need help. NOTE: The money management settings above are the MAXIMUM recommended aggressiveness designed to keep typical draw-downs below 50% based on the historical performance shown above but it's always possible to have larger draw-downs in the future. Therefore, I recommend decreasing your leverage once you have reached a comfortable monthly return and use this model as a guide to calculate the leverage for your own risk tolerance. For example, if your risk tolerance is only a 25% draw-down, then the settings above would be appropriate for $800 in allocated margin and the average return would be about 5.5% per month. To maximize growth, you should consider compounding your profits monthly or at each new profit high resulting in at least $400 in new profit. This is an 8 year equity curve using the same settings as the model above. These are the default settings of the robot. The dates show how performance can vary year to year with the past 2 years being among the best. Your purchase will include 8 years of 1-Hour candlestick data so you can run this same 8 year back-test. 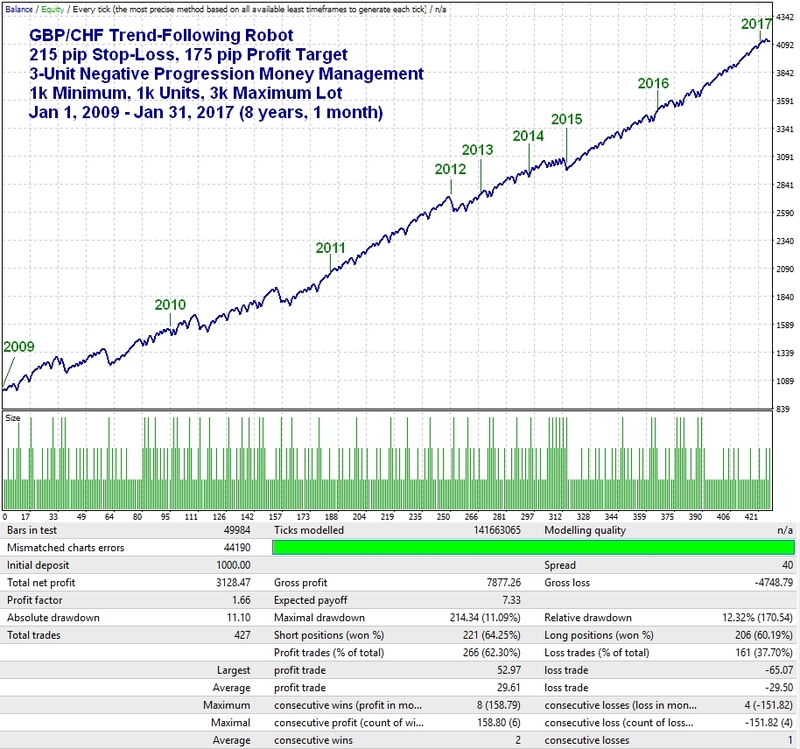 Just replace your GBPCHF60.hst file in your MT4 History folder with the one included in the robot download file. This back-test was done with a 4 pip spread (enter 40 into the Spread field of the Strategy Tester). Get These Top 3 GBP/JPY Robots for just $149! Averaging over 1000 pips/month combined! Guaranteed 500 pips in 60 days or your money back! See the Guarantee terms below. $149 3-Robot Package Guarantee: My 3-robot package guarantee is based on the combined performance of the 3 GBP/JPY robots included in the package. This includes the GBP/JPY 15-Min Trend-Following Robot, the GBP/JPY 30-Minute Consolidation Robot and the GBP/JPY 1-Hour Breakout robot. If these 3 robots do not make at least 500 pips in combined net profit within 60 days of your purchase, I will refund 100% of your purchase price whether you were trading these robots on your own account or not. Just contact me with your receipt and a quick look at these robots' 60-day performance on my own charts will confirm if you qualify or not. Therefore, you do not need to be trading them on your own account to qualify. However, please be aware that your robots will be permanently disabled if you receive a refund. This website does not guarantee income or success of the product beyond the specific 60-day performance guarantees for each product. There are many factors that can effect each person's individual results. Examples shown in this presentation do not represent an indication of future success or earnings but merely historical performance based on specific trading models, some of which is hypothetical. Past performance is not indicative of future results. The company declares the information shared is true and accurate.